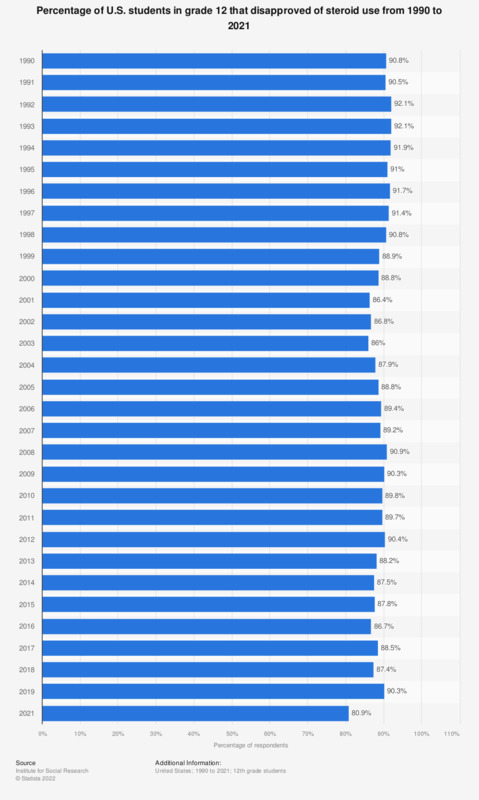 This statistic shows the percentage of 12th graders in the U.S. that disapproved or strongly disapproved of the usage of steroids between 1990 and 2018. According to the survey, 87.4 percent of 12th graders disapproved of the use of steroids in 2018, compared to 92.1 percent in 1992. Percentage who disapprove or strongly disapprove.